Disney Princess comics take tales as old as time, and gives them a modern style. The new Disney Princess Comics Collection brings their comic adventures to life with a new line available exclusively at Target. The new Disney Princess Comics line features hardcover graphic novels from Joe Books, figures from Hasbro and apparel from Hybrid Promotions, all available exclusively at Target and Target.com. This whimsical new collection is based on the art style from the popular Disney Princess Comics from Joe Books. 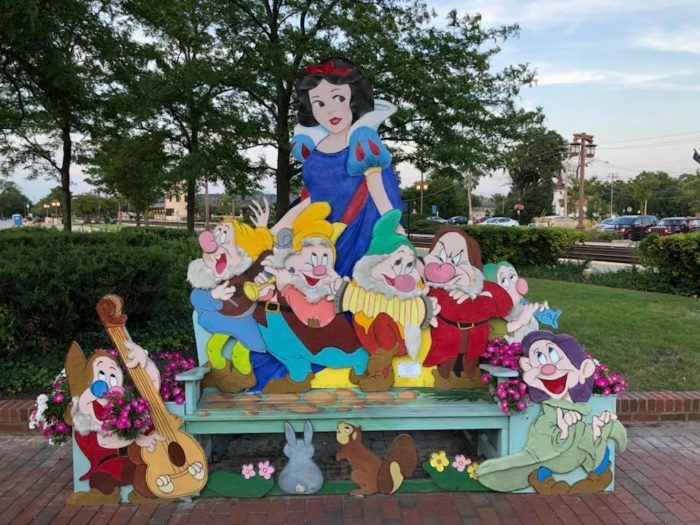 Cartoonist and Illustrator Amy Mebberson created the bite-sized comic strip stories that follow the Disney Princesses in amusing moments in day-to-day life in their worlds. They are drawn with a unique art style and infused with relatable charm, that captures the on trend style of the modern Disney Princess. These comics provide a fresh new take on some of Disney’s most iconic and beloved characters. Graphic Novels: Each Disney Princess will star in her own collection of comic strips bound in a hardcover graphic novel, published by Joe Books. The comic strips take the reader on laugh-out-loud adventures of the Disney Princesses in their worlds. Figures: The line, developed by Hasbro, debuts with single figures of Belle, Pocahontas, Rapunzel and two larger sets: the Ariel & Friends set (including Ariel, Ursula, Eric) and the Magic Carpet Ride set (including Jasmine and Aladdin). The 5-inch poseable figures feature six points of articulation, allowing kids to act out their favorite imaginary adventures. Apparel: Three tops by Hybrid Promotions feature the speech bubble wit alongside our Princesses reimagined in this cool art style. With both long sleeve and short sleeve styles, these princess power tees are must haves for summer, Back to School and beyond! The Disney Princess Comics Collection is available now at Target and Target.com.